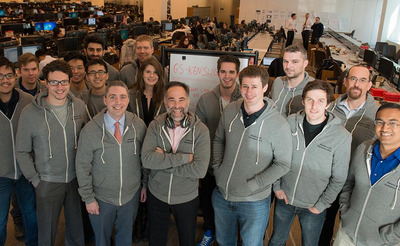 Goldman Sachs is on a mission to become the Google of Wall Street. A case study on Goldman Sachs’ digital strategy was presented as part of an executive MBA class at Harvard Business School last week. The study details the tension that this strategy has caused, and the payoffs. Goldman Sachs’ effort to become the Google of Wall Street is now being taught in MBA classrooms. This model is based on taking in data, pushing it through analytics engines, then making it available to internal and external clients through Marquee, the Goldman Sachs digital platform that Chavez has championed. According to the case study, the number of SIMON users had jumped to 15,000 by the end of 2016, up from 2,400. Goldman Sachs’ structured note sales increased 4x from 2013 to 2016, the study said.